Anyone watching PPV live on TV? 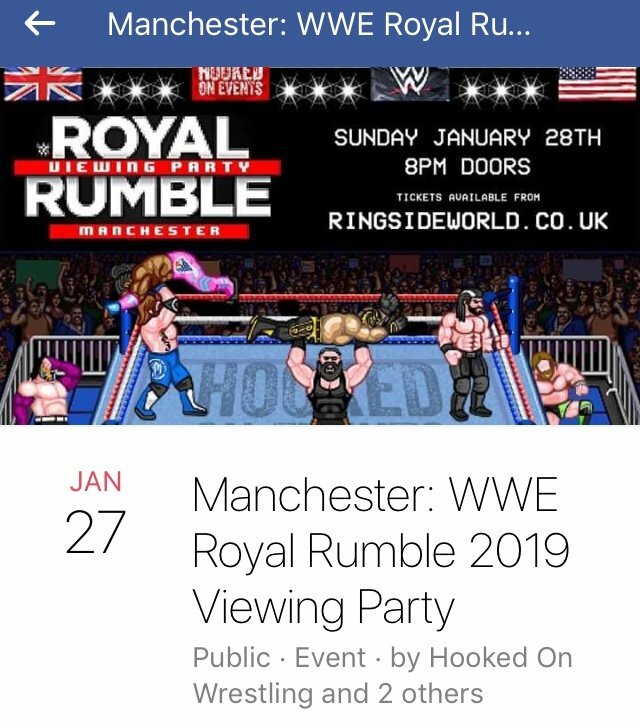 Just wondered if anyone in the Manchester area watches PPV's live anywhere and would fancy watching the rumble with me somewhere? No sod I know likes wrestling!! Whilst not live, Fab Cafe show it the following evening and is always a nice atmosphere. Oh ye I've been in fab a few times. You going Keith? I’m hosting the Newcastle version of this. Check the Hooked on Wrestling Facebook page out mate, plenty of people planning on going and chatting about it. 150 tickets sold for Manchester so far. If you decide to go, tell them Grapple Arcade sent you! Looks spot on that Kaz!! Going to drag me missus down for that once I'm sure that I can get off work for it! If there is anyone else going let me know and we can grab a pint! I've got the time off I need so me and the missus is avin it so can a get a pint if you fancy it mad dog lad.